The ERI Hotel is situated on the most beautiful of all the Cycladic islands, Paros, with striking features from the Ancient Greek civilization, the unequalled Cycladic Architecture, the picturesque beaches, the deep blue sea and the unique sunset. The ERI Hotel is a 3 - star family hotel. It was built in 1988 and renovated in 2001. 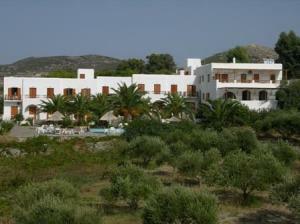 It offers 43 rooms and two apartments. All the rooms boast air - conditioning, a television set and a personal safety deposit box. 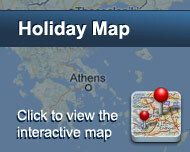 The Port of Parikia is only 800 m away and the closest beach only 300m. It takes a pleasant 10 minutes to reach the city center. The ERI Hotel boasts an abundance of areas which have a breathtaking view of the mountains or the sea, allowing the guest to enjoy a lovely sense of serenity and freedom. Είστε ιδιοκτήτης ή διευθυντής στο Eri Hotel; Εγγραφείτε τώρα για δωρεάν εργαλεία, που μπορείτε να χρησιμοποιήσετε για να βελτιώσετε την καταχώρησή σας και να συνδέσετε την ιστοσελίδα σας και το σύστημα κρατήσεών σας.